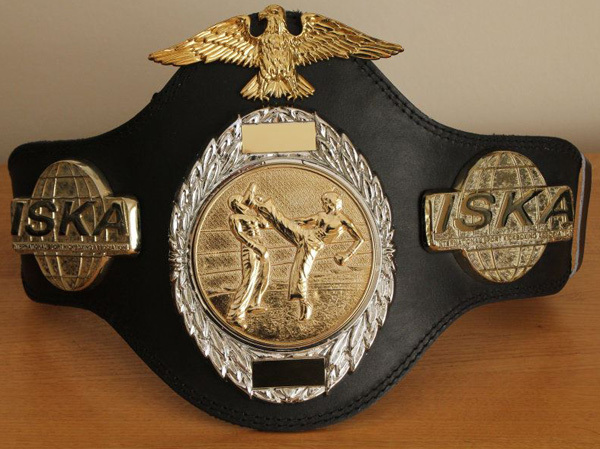 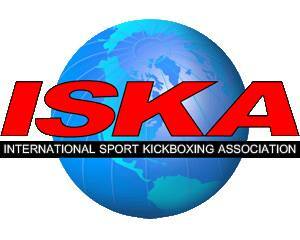 who were involved in ISKA sanctioned events during 2011. 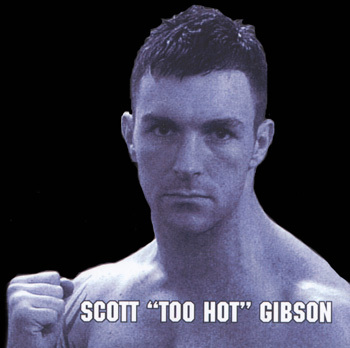 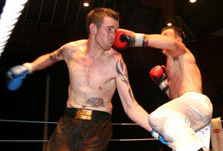 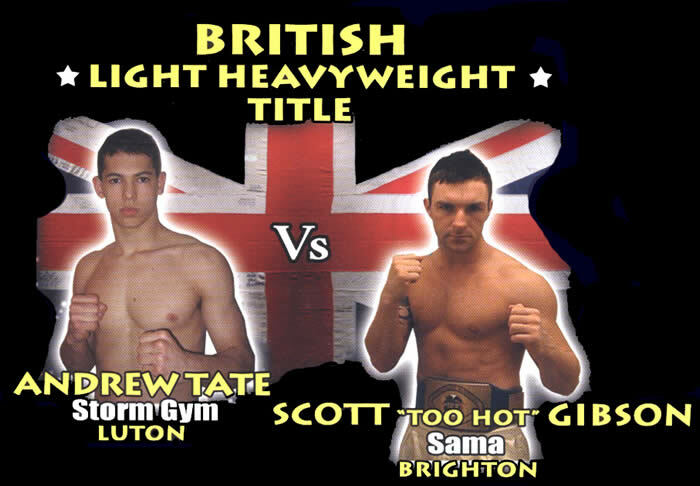 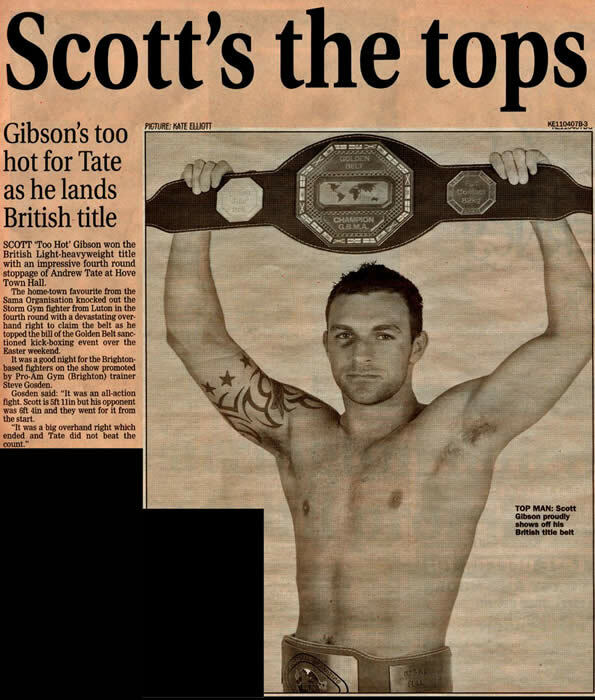 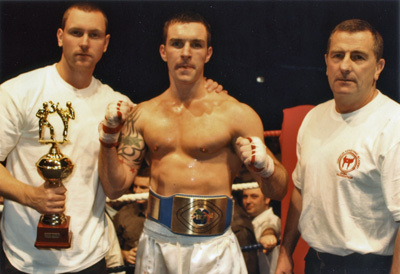 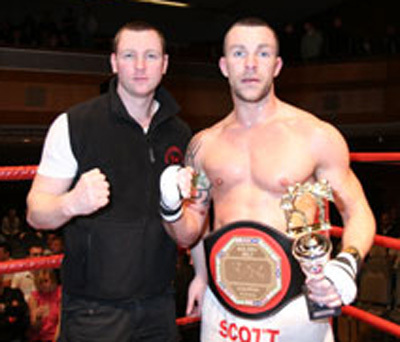 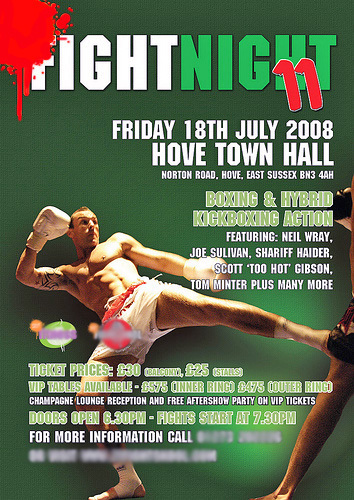 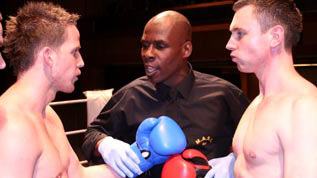 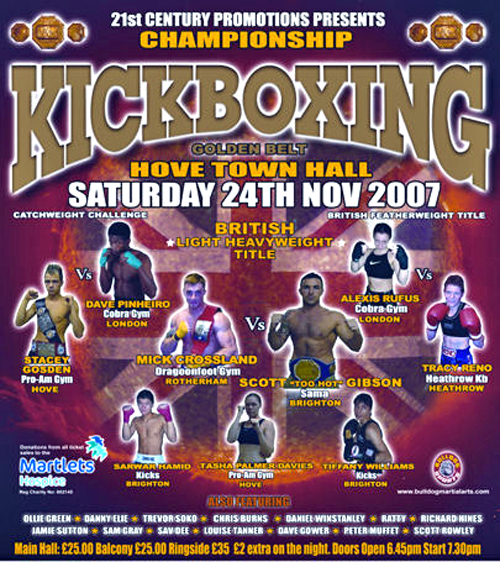 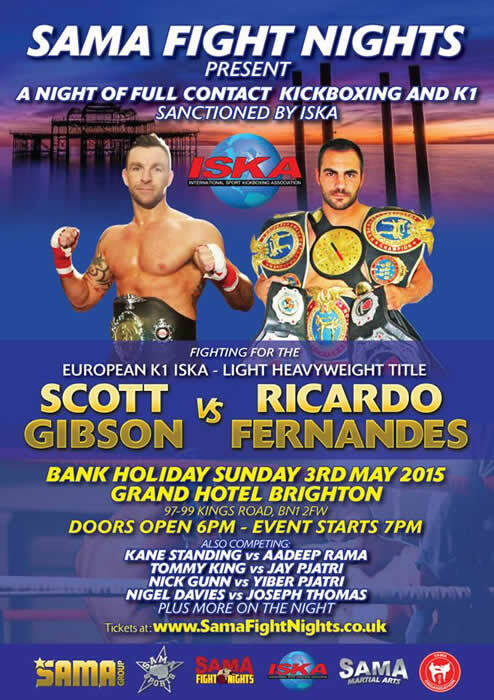 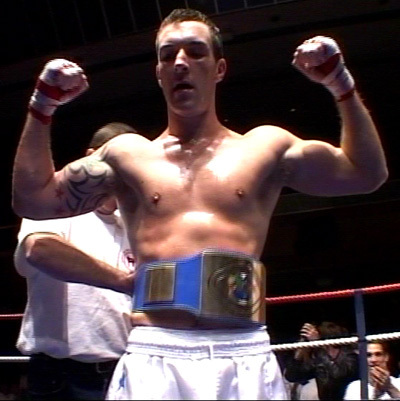 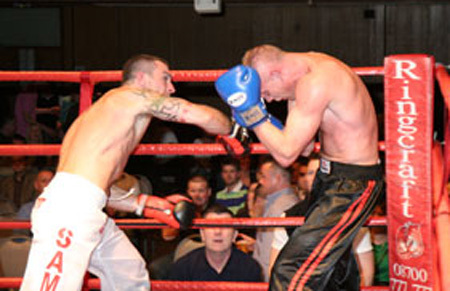 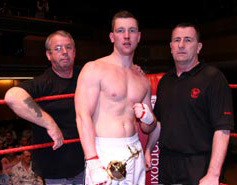 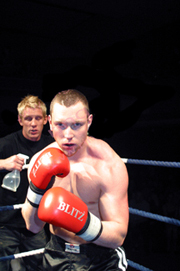 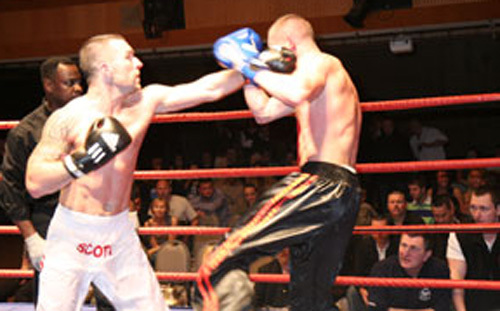 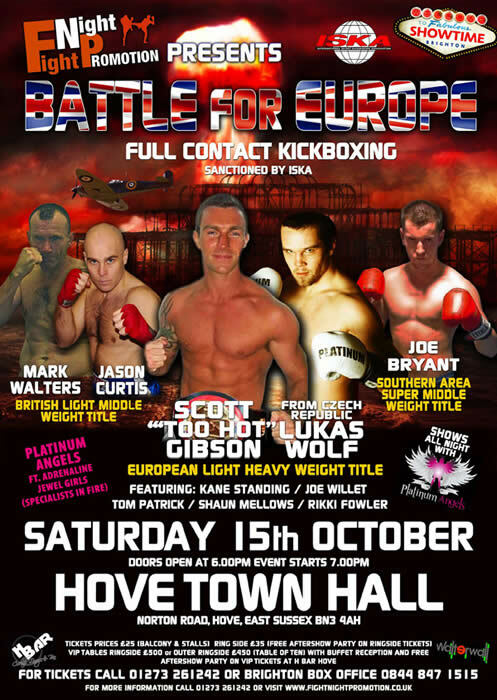 "Scott "Too Hot" Gibson won the British Light Heavyweight title with an impressive fourth round stoppage of Andrew Tate at Hove Town Hall. 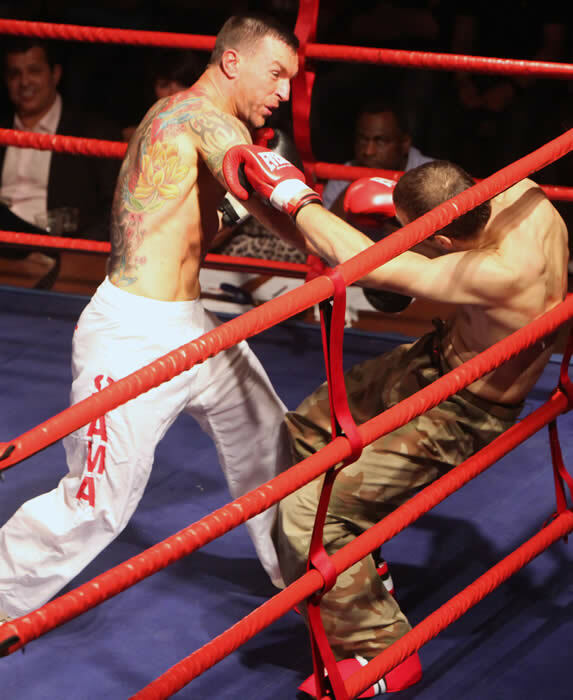 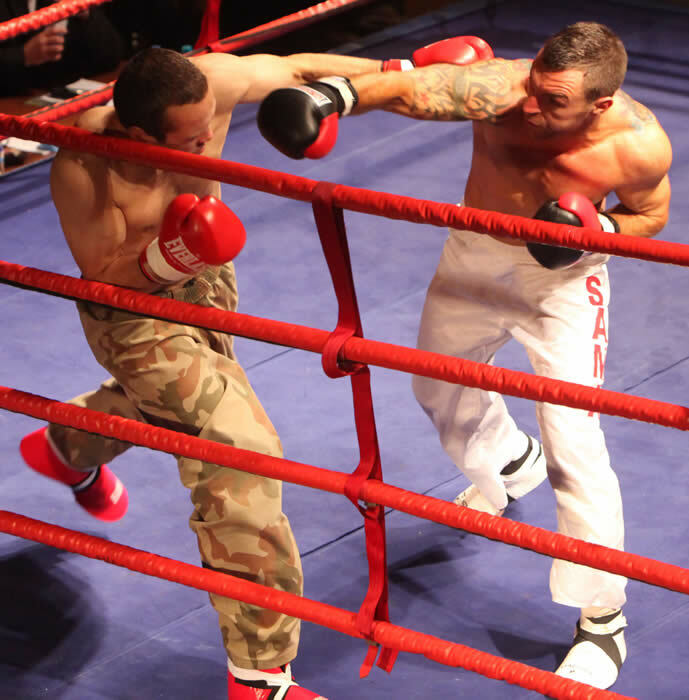 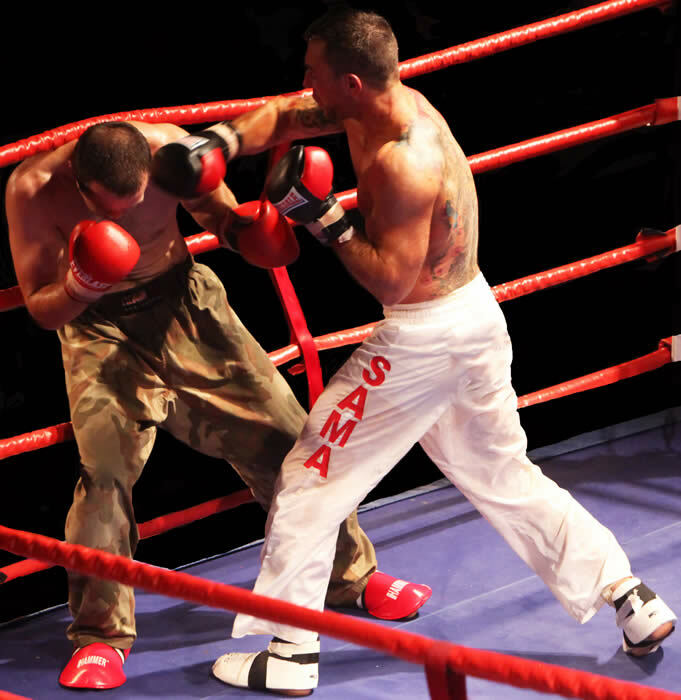 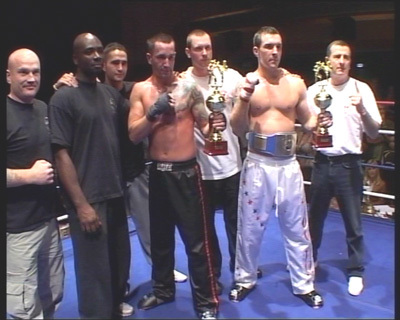 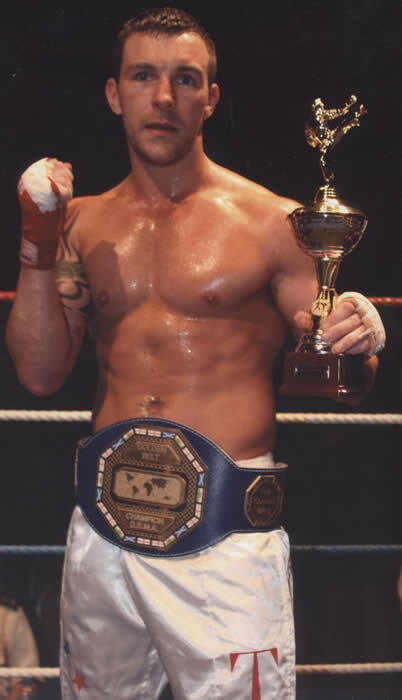 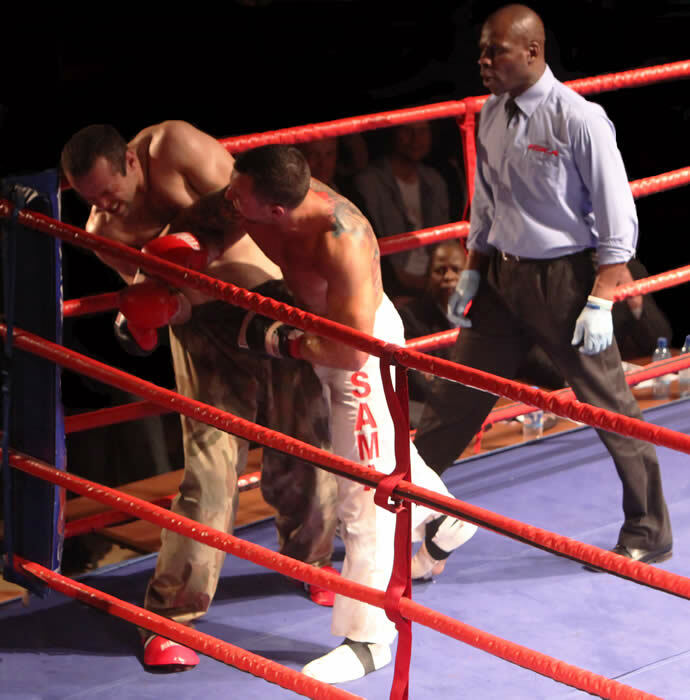 The home favourite from the SAMA Organisation knocked out the Storm Gym fighter from Luton with a devastating overhand right to claim the belt as he toped the bill of the Golden Belt sanctioned kick boxing event over the Ester weekend. 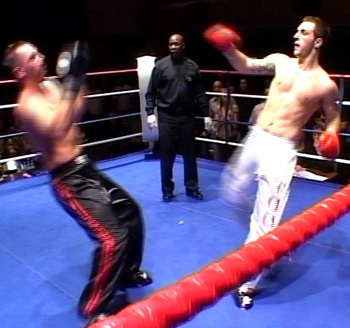 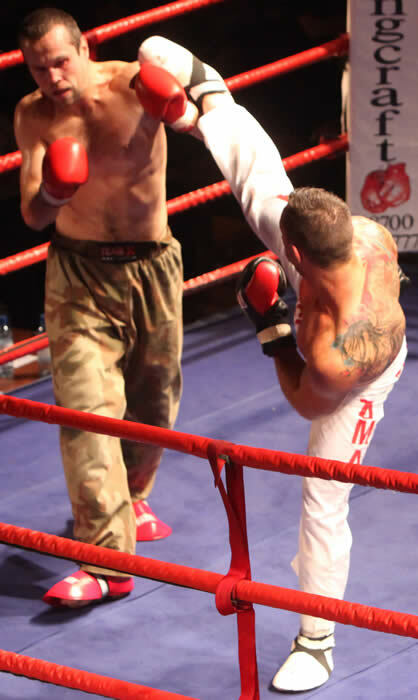 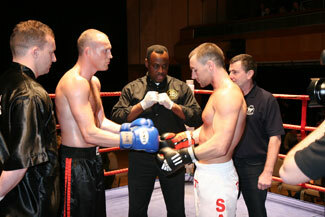 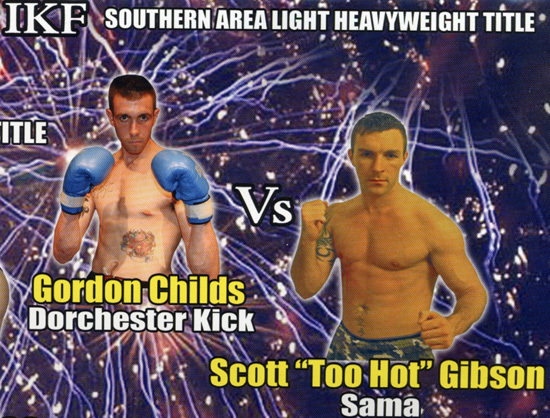 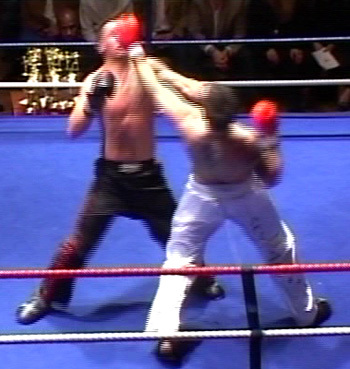 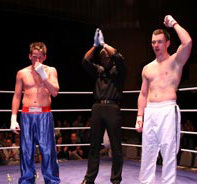 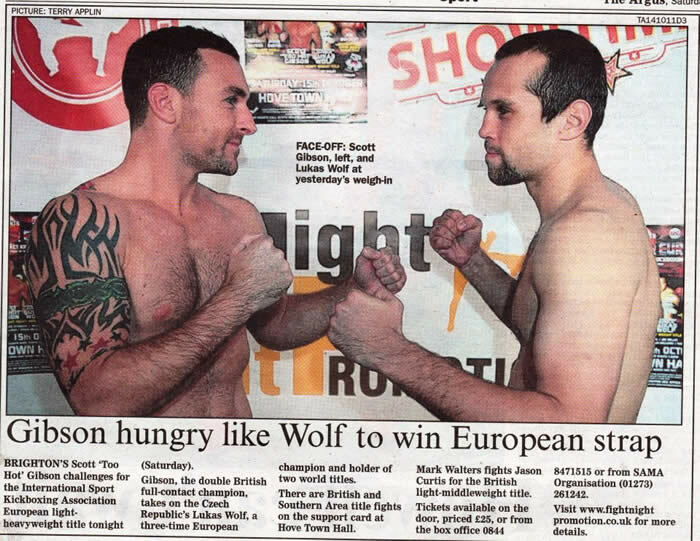 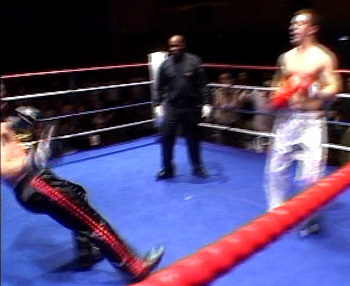 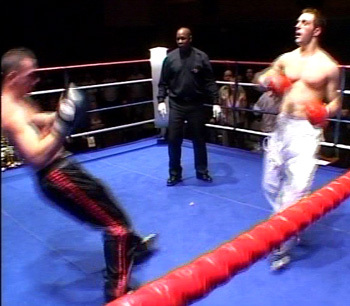 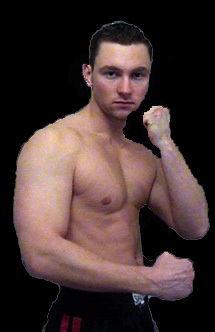 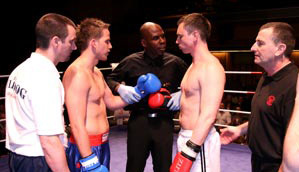 It was an all action fight, Scott is 5ft 11in but his opponent was 6ft 4in and they went for it at the start. 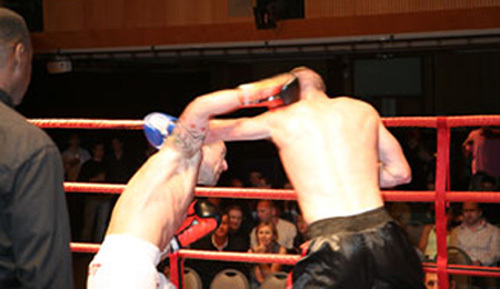 It was a big overhand right which ended the fight, and Tate did not beat the count." 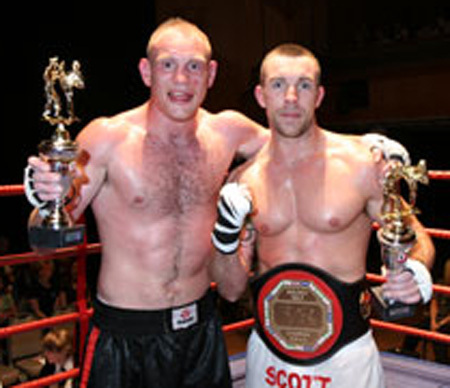 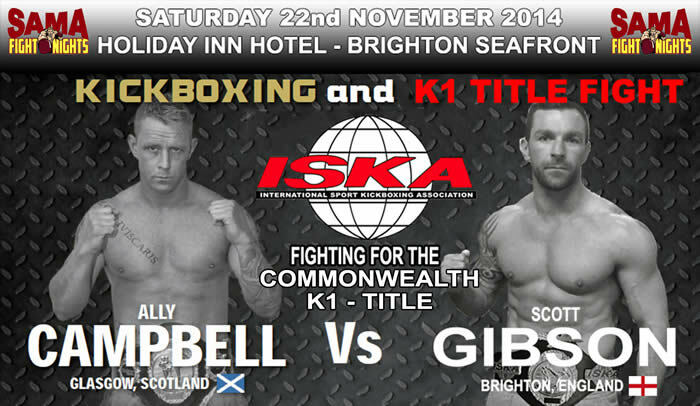 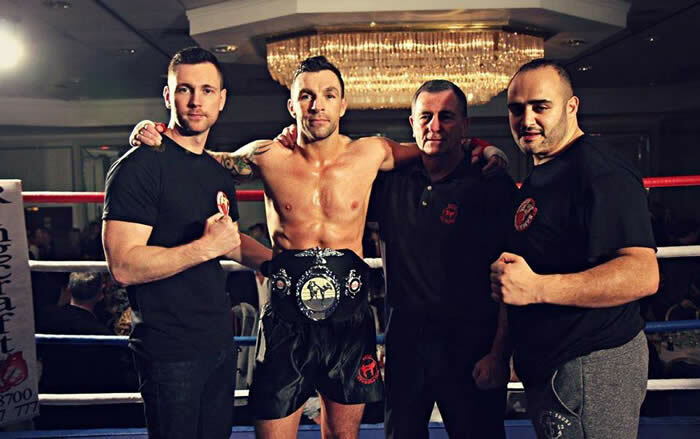 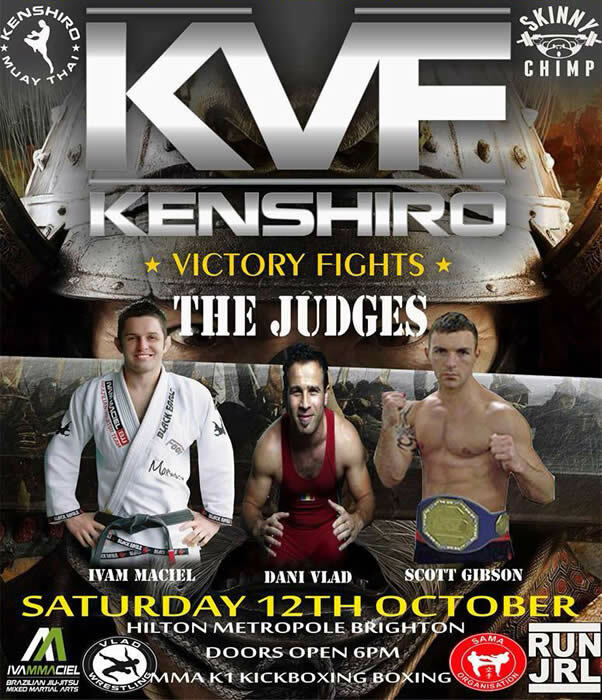 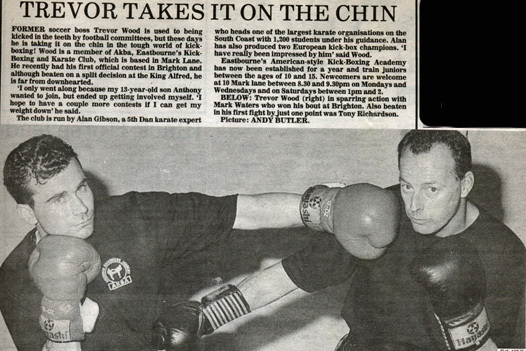 "THIS IS WHAT KICKBOXING IS ALL ABOUT"
"THE GREAT KICKBOXING FIGHT OF THE YEAR"
"THESE TWO FIGHTERS HAVE DONE KICKBOXING PROUD"
Scott won his fight against Andy Pollard from Trevor Spencer's TS Kickboxing gym and is now the IKF Southern Area Champion Title holder. 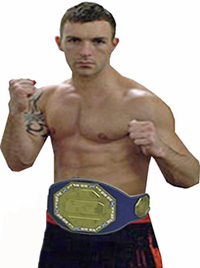 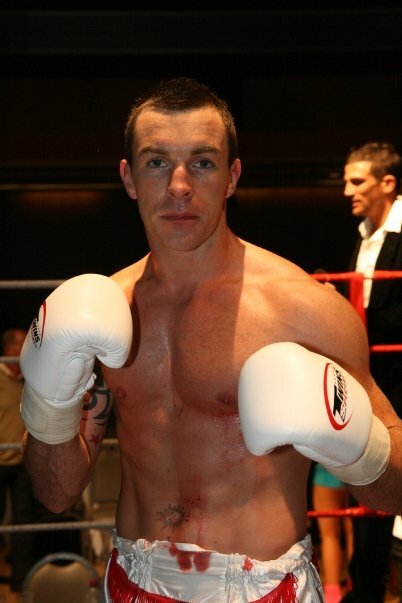 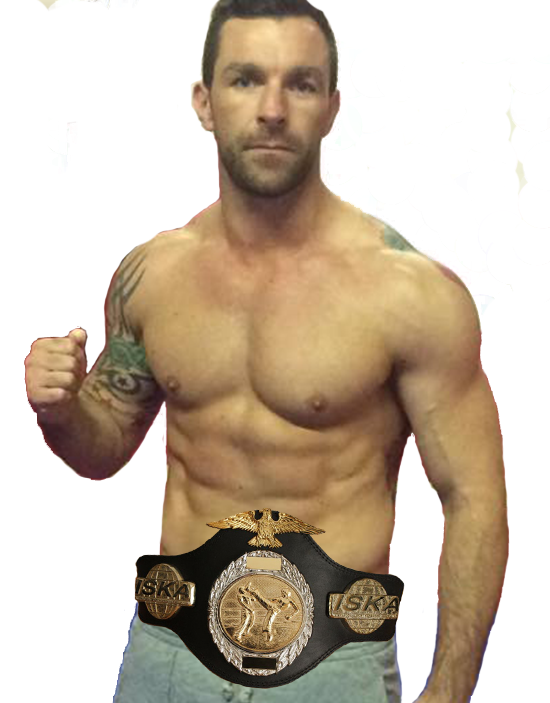 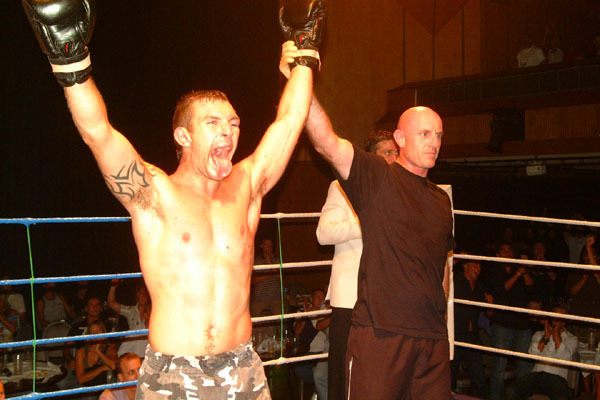 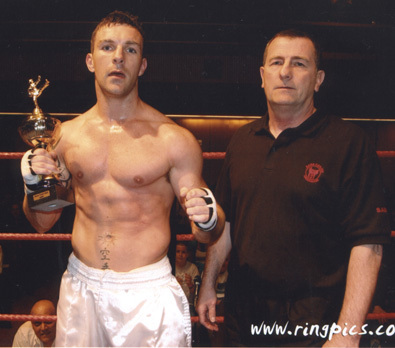 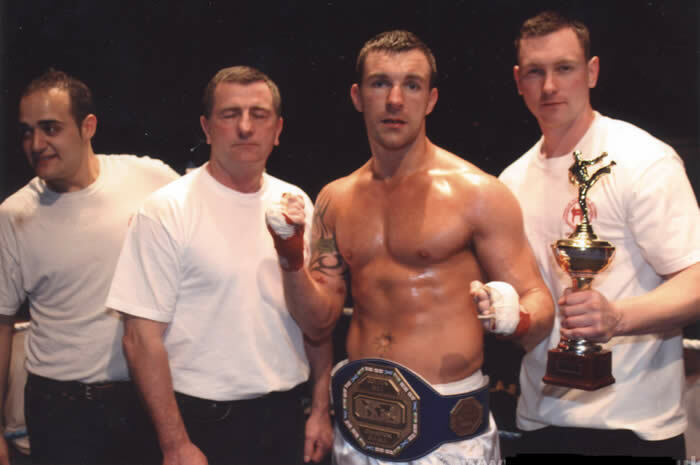 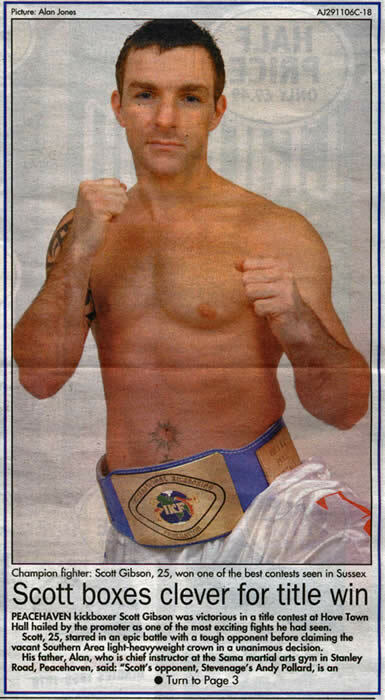 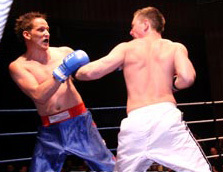 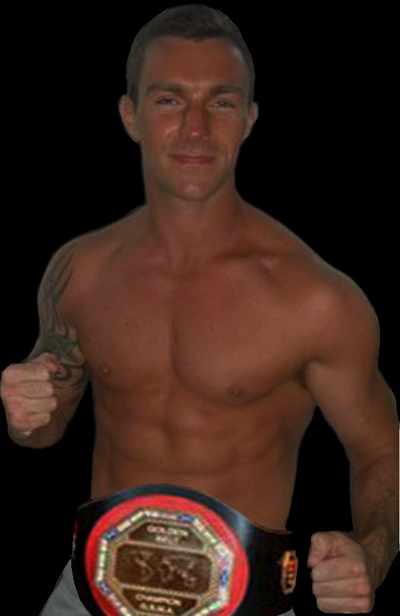 Andy Pollard is a very tough and experienced fighter and is the current WKA Title Holder, so he is certainly no mug and someone who came here to win. 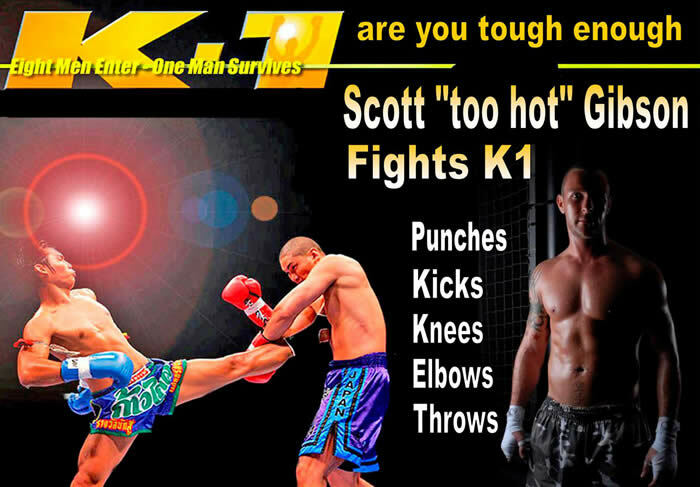 It was 5 rounds of pure non stop hard hitting action from both fighters, when at the end of the 4th round Scott notched up the score by knocking Pollard down for a count of eight with a perfect placed roundhouse kick to the face. 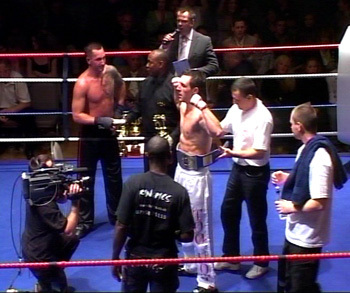 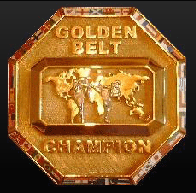 It was classed as the best fight of the night and was announced by the compare as “this is what kickboxing is all about” as well as being quoted as "the best fight of the year". 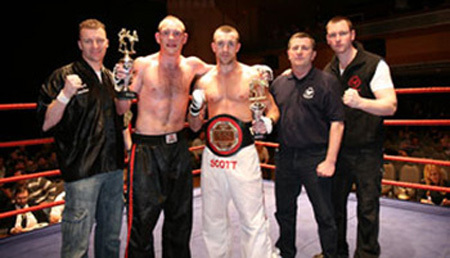 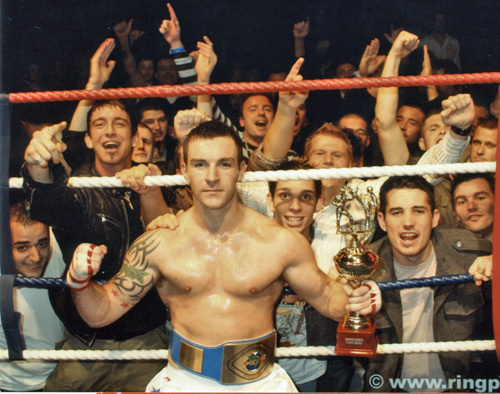 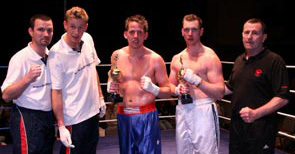 SCOTT WON THE MOST EXCITING FIGHTER TROPHY OF THE NIGHT. 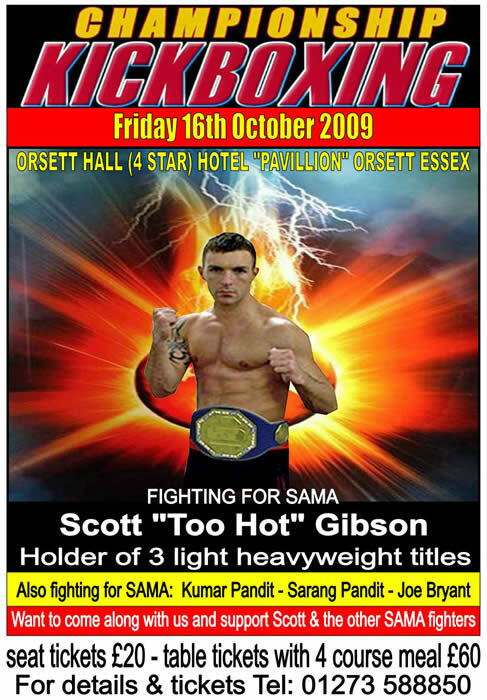 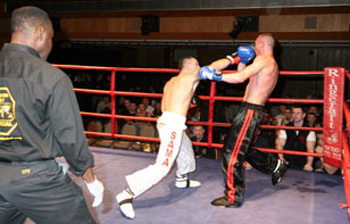 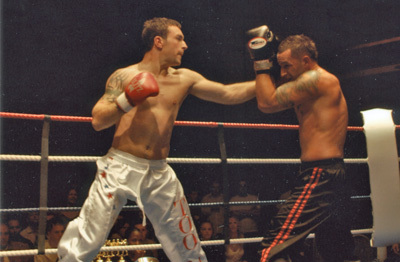 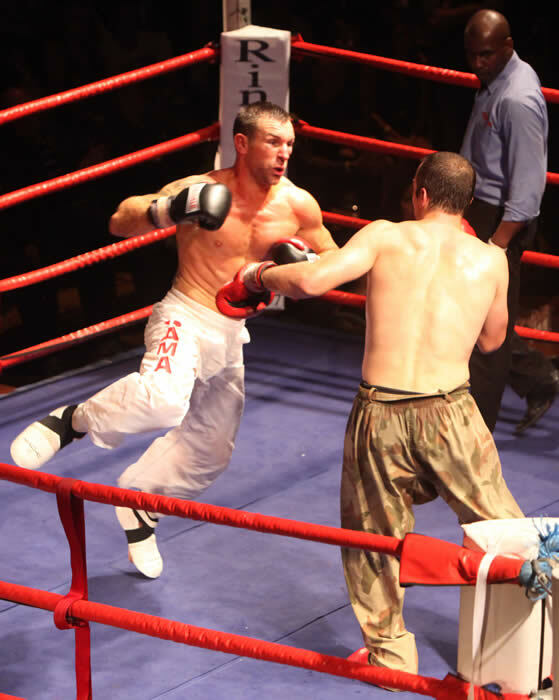 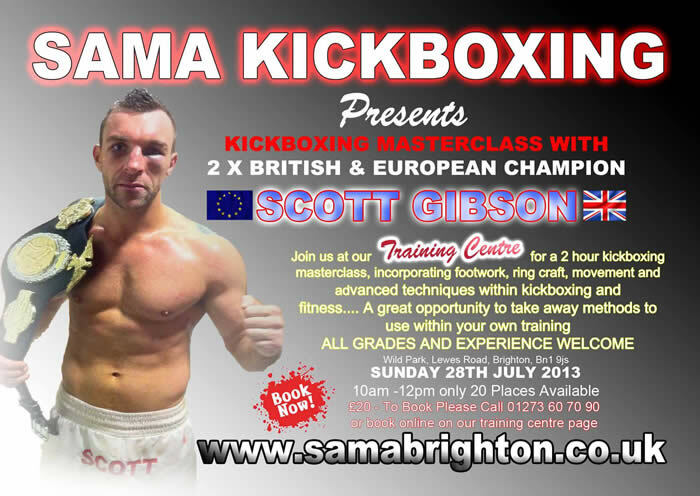 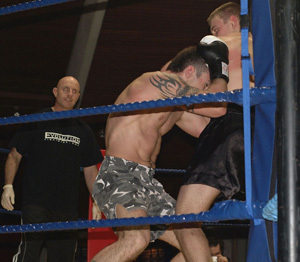 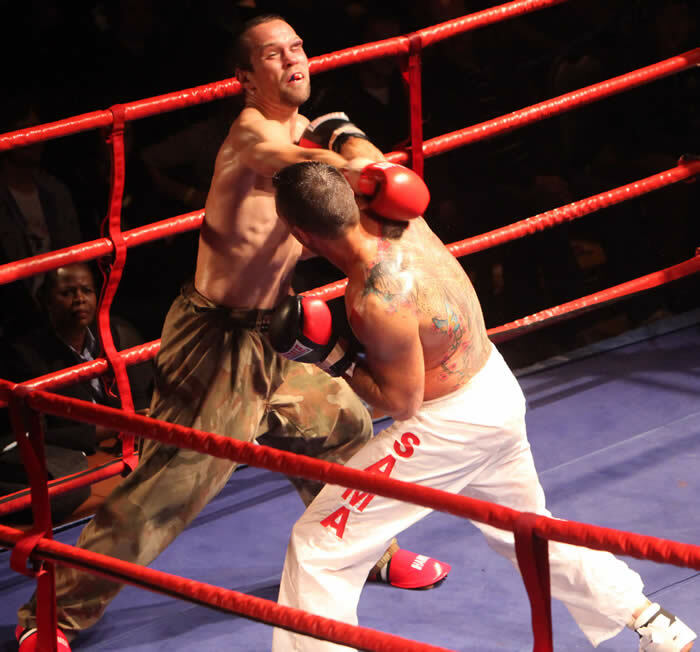 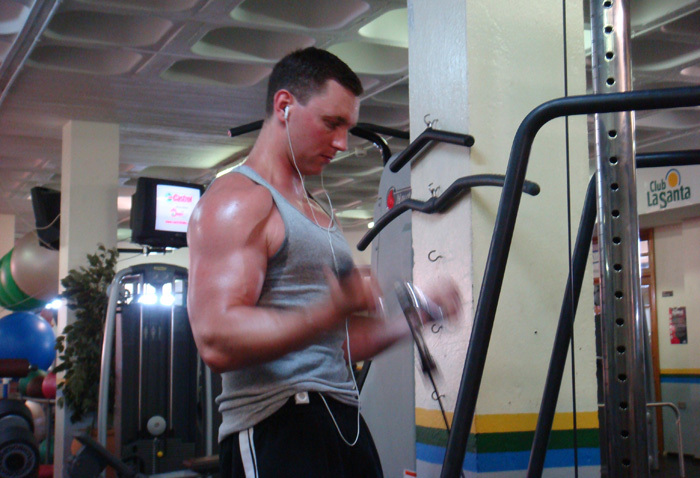 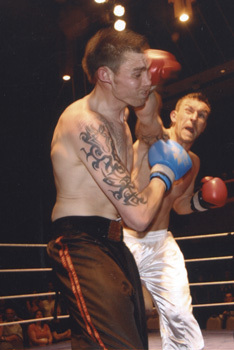 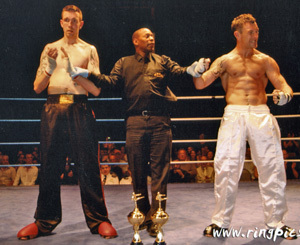 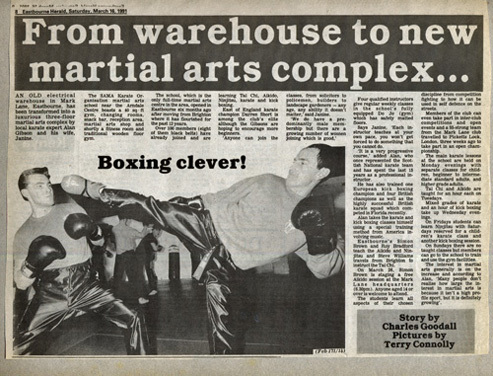 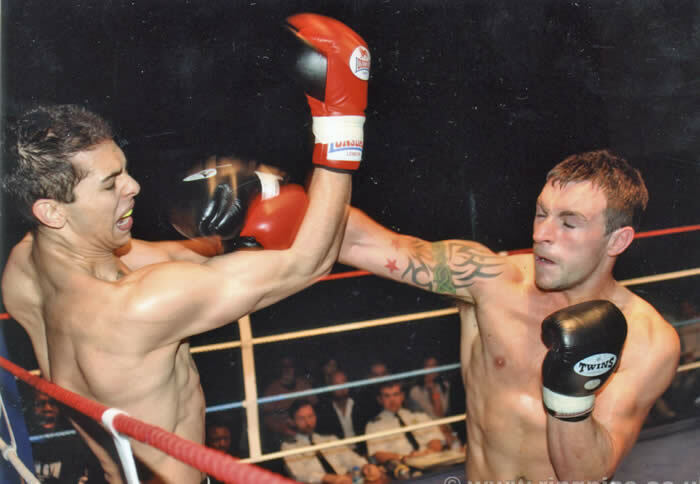 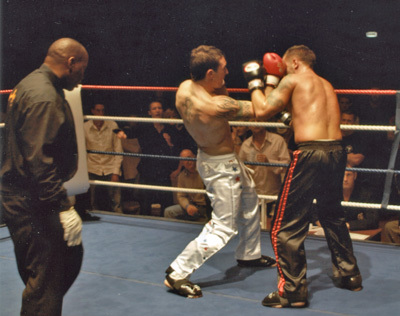 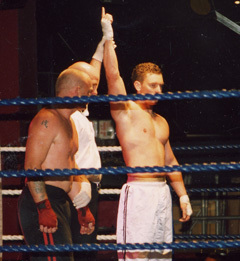 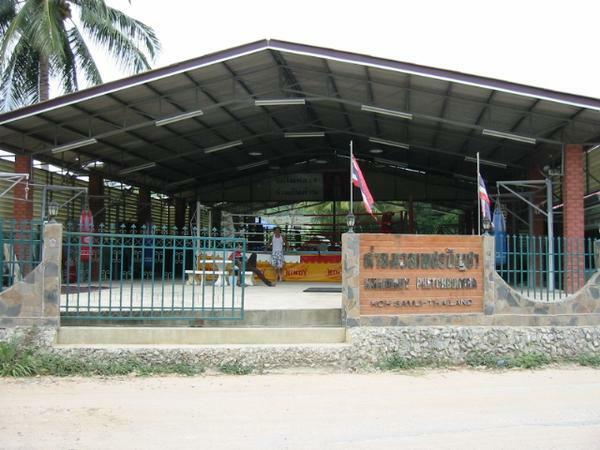 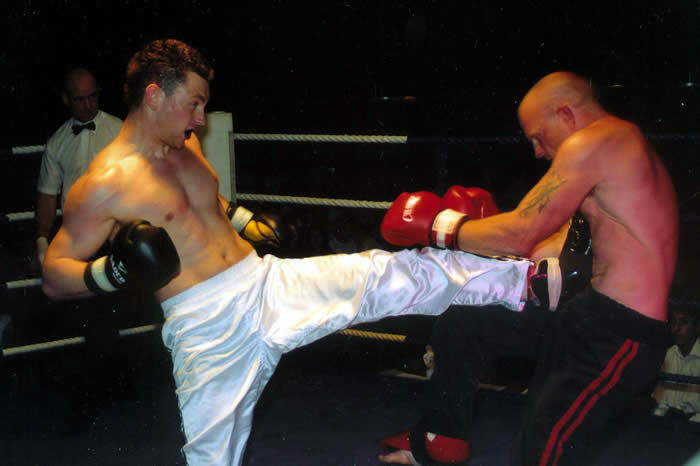 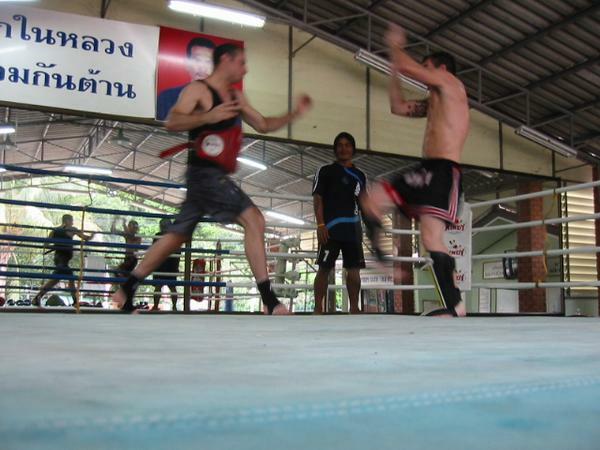 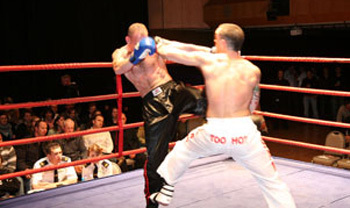 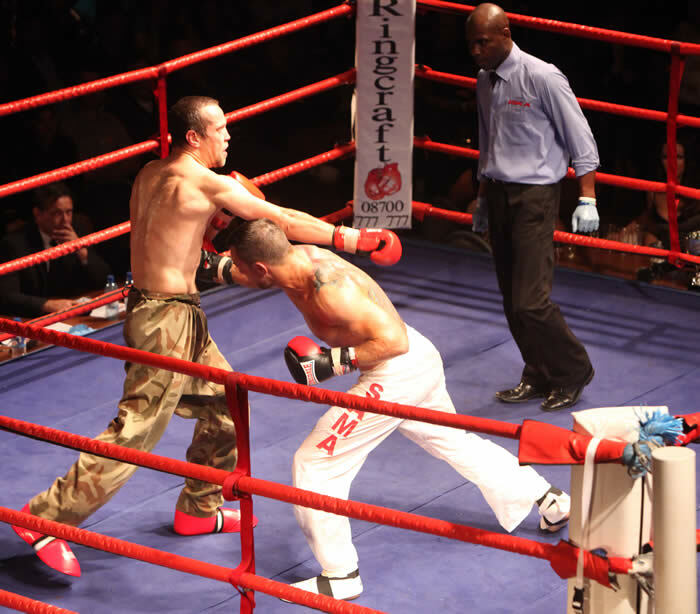 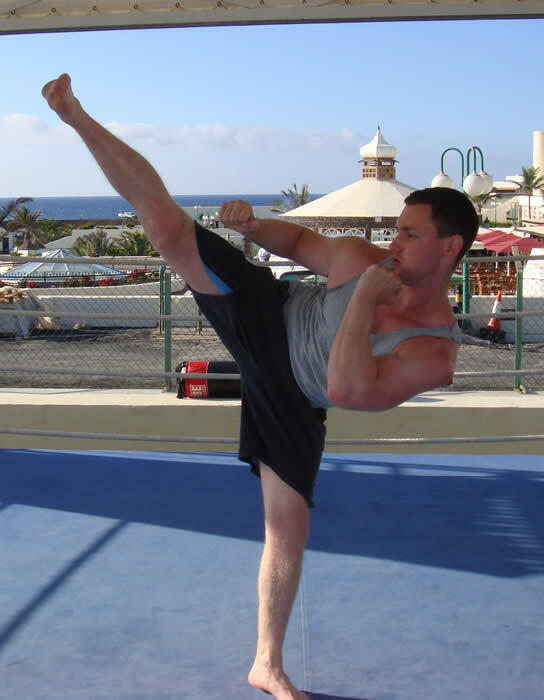 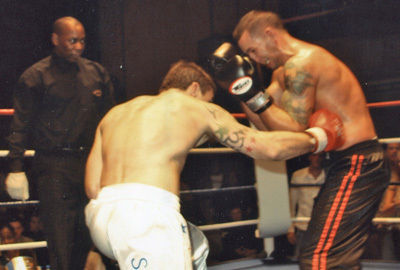 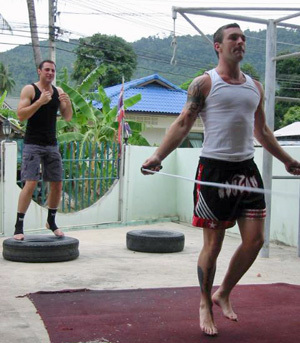 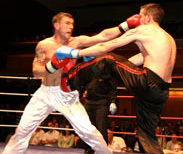 Scott was up against an extremely hard and experienced top rated Thai boxer from one of London's premier Thai boxing gyms. 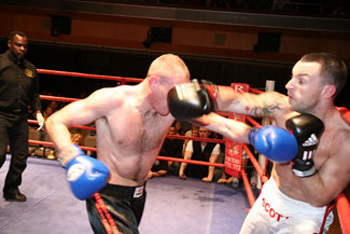 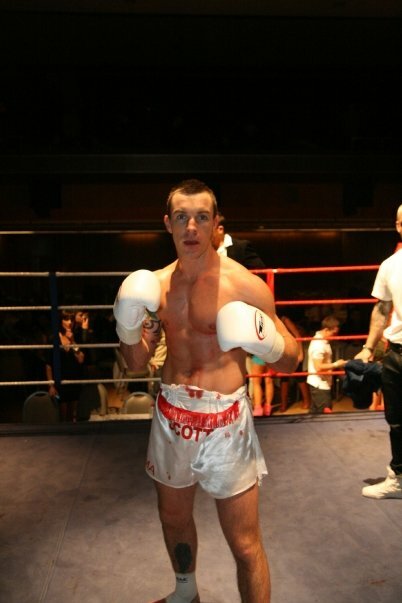 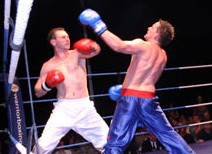 Scott's opponent the top man of his gym who was out to seek blood and revenge to regain back the honour for his club and his club mate that Scott had knocked out on a previous fight within a few minute's of entering the ring. 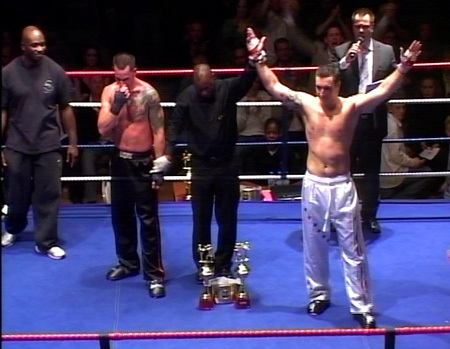 Classed as the top fight of the night, it certainly lived up to all expectations and hype. 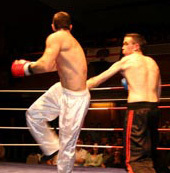 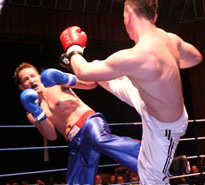 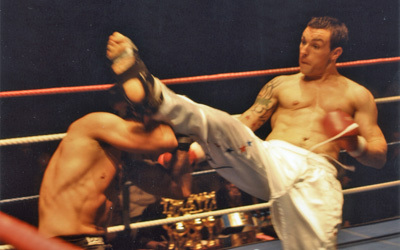 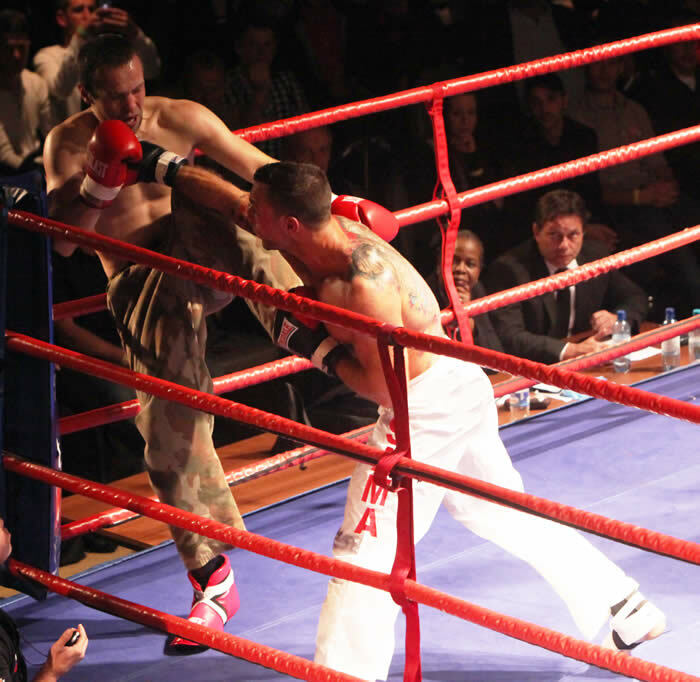 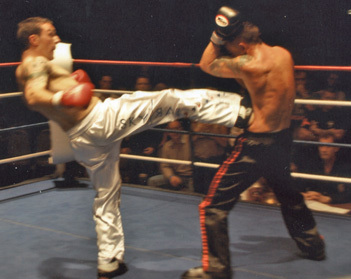 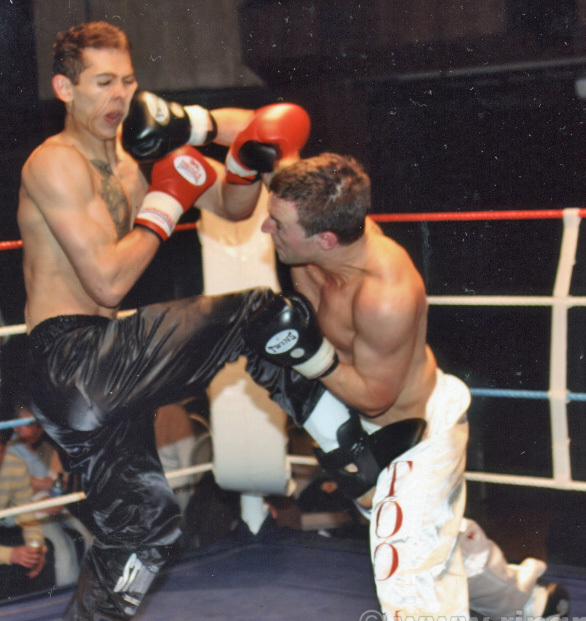 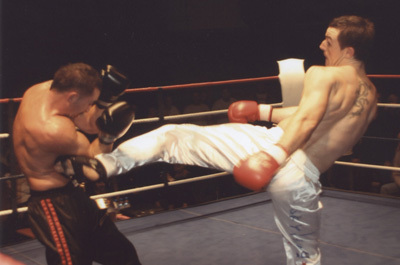 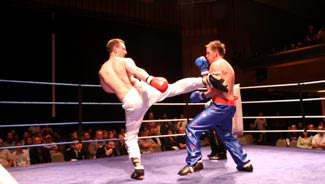 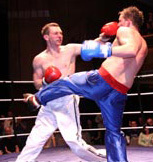 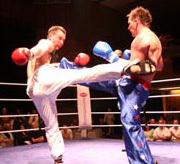 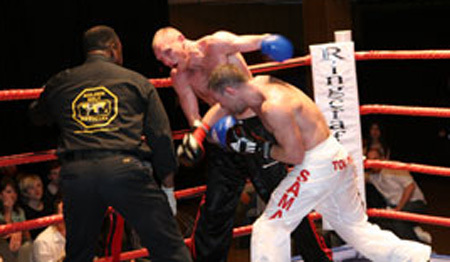 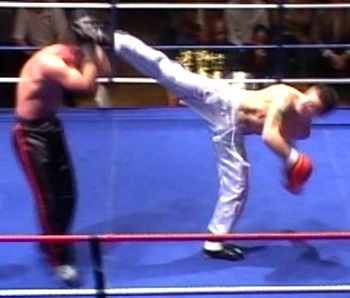 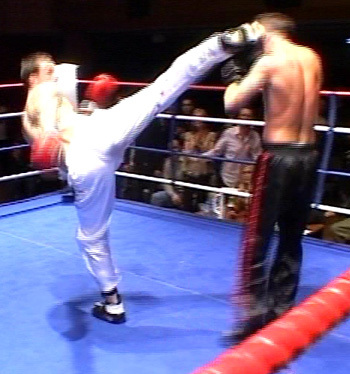 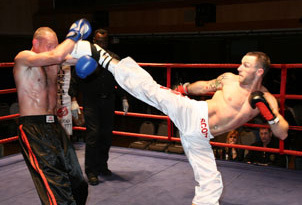 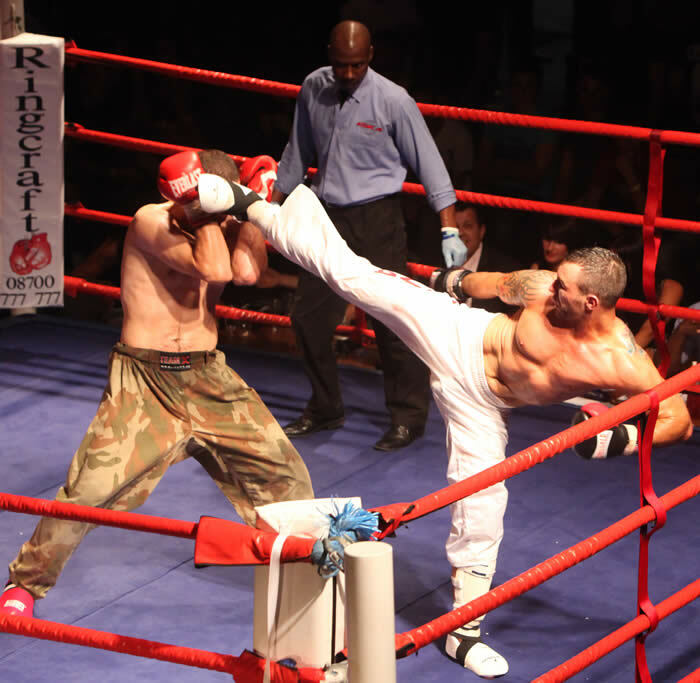 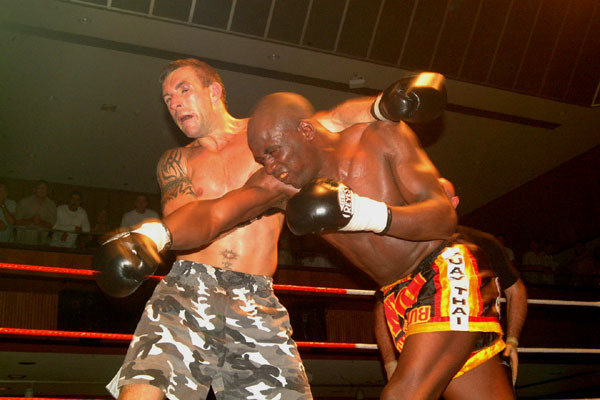 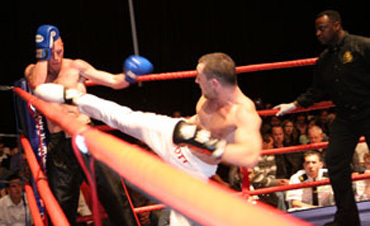 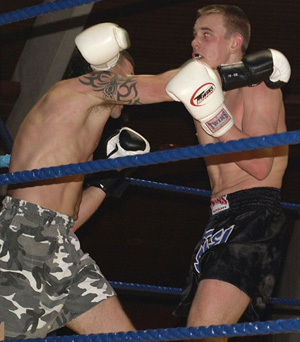 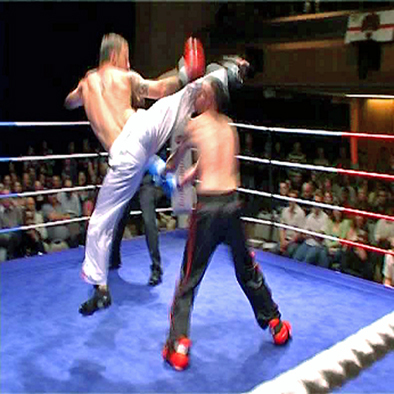 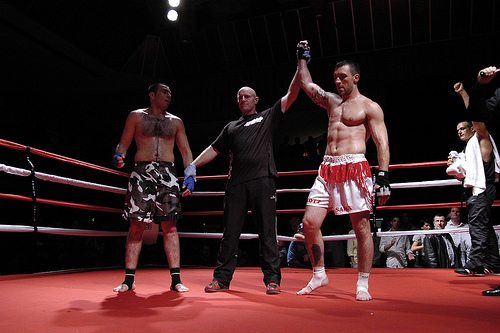 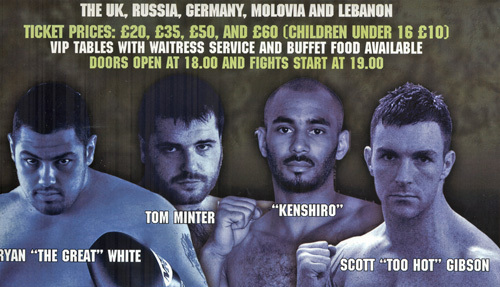 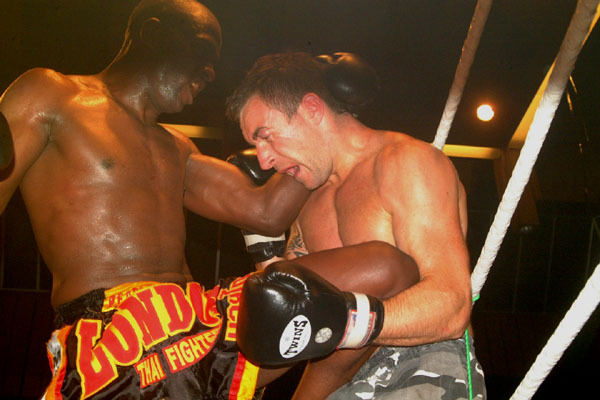 One of the hardest and most exciting fights seen for a long time in the K1 Kickboxing ring. 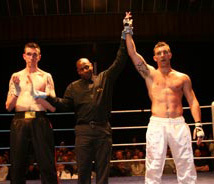 A GREAT FIGHTER HAS TO BE ABLE TO TAKE IT, AS WELL AS GIVE IT!!! 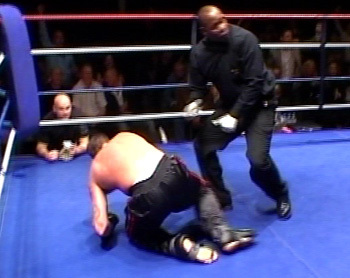 Scott knocked down Simonek 3 times giving him 3 standing counts.